The Badminton Horse Trials church services takes place this year on Sunday, 6th May at 10:00am in St. Michael and All Angels, Great Badminton. The service is open to all and will follow a shortened version of the 1662 Book of Common Prayer mattins service. Our guest preacher this year is The Right Reverend Rachel Treweek, Bishop of Gloucester. 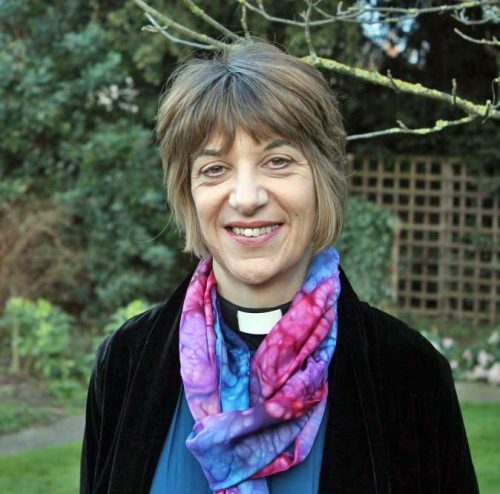 In July 2015, Bishop Rachel was the first ever female diocesan bishop to be appointed in the Church of England. Following the service, Bishop Rachel will be in the Chapel marquee in the showground where she will be delighted to meet and talk to any members of the congregation and public who would like to meet her. We welcome anybody who would like to come along and take some some time in reflection, prayer, or simple peace and quiet - or to just take the weight off their feet for a short while! Short services will be held each day during the event. The times will be posted nearer the time. The Chapel can be found next to the Lost and Found marquee, just to the west of the Somerset Way. We look forward to welcoming you to the Chapel. Continue down the drive until you reach the High Street outside The Duke of Beaufort's Estate Office. Walk around the small green and through the large set of gates to your left (passing the "No Public Admittance" sign).